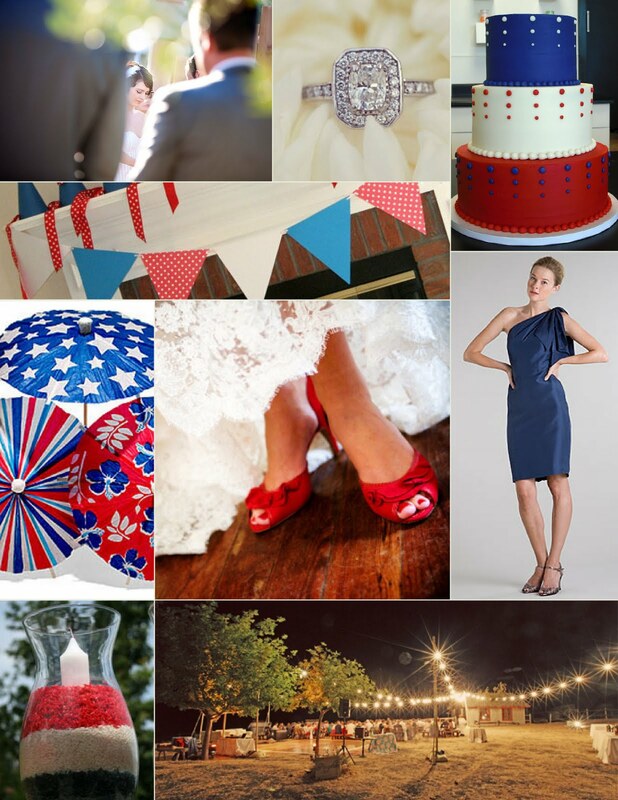 Emily Weddings: Happy Fourth of July!!! Happy Fourth of July readers!! Today we honor our military service members, both past and present, and remember the sacrifices that many men and women have made over the years to create the wonderful country that we live in. 235 years ago today we declared our freedom, and in celebration of this joyous event, we present our nation's colors is every creative way imaginable. Here are some inspiration boards that we absolutely love! 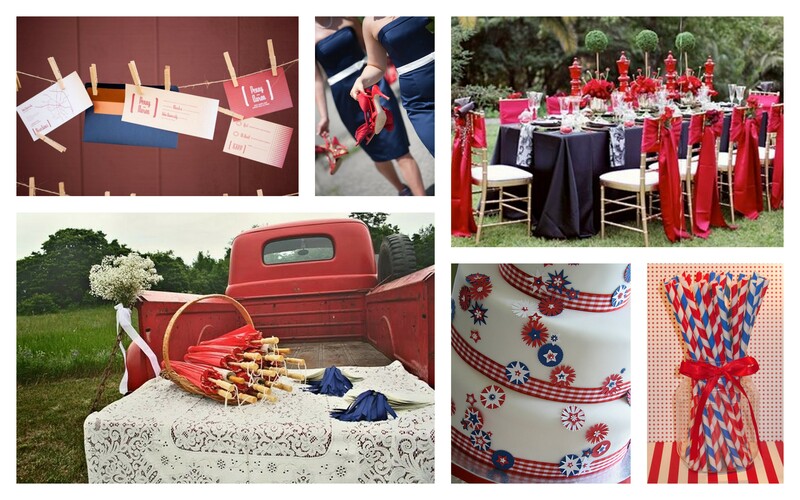 Whether they inspire you for a wedding or just a back yard BBQ affair, these red, white and blue details are sure to boost your patriotism. Everyone have a safe and enjoyable Fourth of July from all of us here at Emily Weddings, Inc.